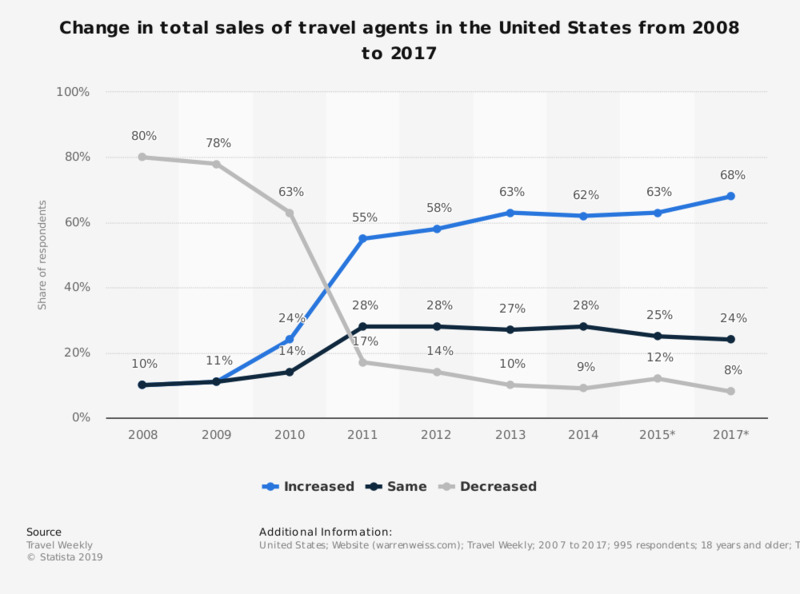 This statistic shows the share of travel agents by their change in total sales from the prior year in the United States from 2008 to 2017. In 2017, eight percent of travel agents reported a decrease in sales over the last two years. * Reported by traditional travel agencies only, home-based travel agencies are not included. No data was available for 2016.